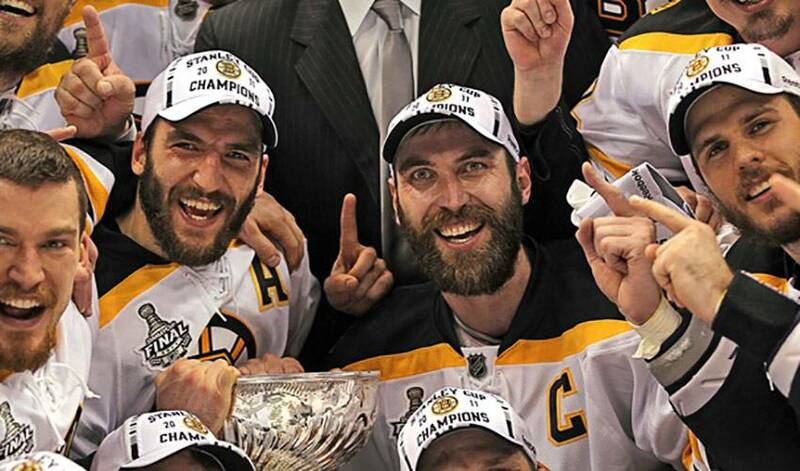 With a 4-0 win in Game 7 of the Stanley Cup Final on Wednesday night and a 4-3 series victory, the Boston Bruins will go into the history books as the 2010-11 Stanley Cup Champions, the first Bruins team to do so since 1972. After losing the first two games of their series against the Montreal Canadiens at home in the first-round, the Bruins found a form they rode to the very end; stifle the other team's offence, capitalize on their mistakes and, when their own mistakes were made, rely on a goaltender in Tim Thomas, who had a playoff run for the ages. The Bruins would lose only one more game at home the rest of the playoffs, while becoming the only team in NHL history to win three Game 7s in one playoff season and limit Vancouver, the highest-scoring team during the regular season, to a mere eight goals in seven games in the Cup Final. They also became the fourth and final Boston-area professional sports team to win a championship since 2004, which helped set a record for the shortest amount of time a city has needed to win NHL, NFL, NBA and MLB titles. While there were undoubtedly nicer goals scored during the 2011 playoffs, there is only one Stanley Cup-winner and this year's honour goes to Boston's Patrice Bergeron. Following a scramble off of a face-off won by Vancouver in their own zone, Bruins forward Brad Marchand stole the puck from a Canucks defender and then passed it towards teammates Bergeron and Mark Recchi, who were stacked up next to each other in the slot. Recchi was the player closer to Marchand, and looked to be in a better position to shoot, but the puck ended up going past him to Bergeron. Bergeron snapped it past the blocker of Luongo, who had no chance on the quick shot that rang-in off the inside of the post. Scored at the 14:37 mark of the first period, the goal would turn out to be the one that brought the Cup back to Beantown. On a night where he blanked the Vancouver Canucks for the second time in their best-of-seven series, his fourth shutout of the postseason, Bruins goalie Tim Thomas set several records that may take a while to be broken. Thomas set a pair of records for saves; one for most saves in a single postseason (798) and one for most in a Stanley Cup Finals (238). Those two records had a major influence on the third he would pick up on Wednesday night – becoming the oldest player, at age 37, to ever win the Conn Smythe Trophy as the playoff's Most Valuable Player. With a 16-9 record to go along with a 1.98 goals-against-average and .940 save-percentage, Tim produced a goaltending performance this spring that will be remembered for a long, long time. “It's funny, I told him before the playoffs started, after he didn't get nominated for the MVP, go out there and win a Conn Smythe. Everyone always remembers the Conn Smythe winner over the MVP of the league and that's exactly what he did.” - Boston Bruins forward Milan Lucic to reporters following the game, discussing the Conn Smythe prediction he made prior to the playoffs.